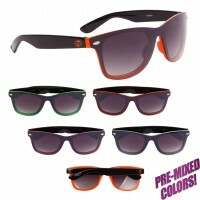 Here is where you will find our bulk premium sunglasses, with a variety of styles. 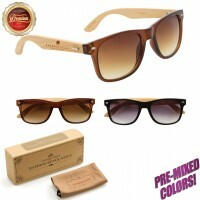 These premium sunglasses are sold in pre-mixed units of 12 pieces, and work very well for branding. You’ll find a range of frame materials and designs, from hand-made premium bamboo to trendy shield wayfarers. 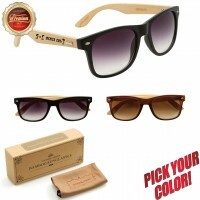 Premium sunglasses include hang tags, making retailing a snap. If you would prefer to have these removed, speak with your personal print assistant regarding this service. Adding new styles frequently, be sure to check back often!